We're ZCT Media, a well established website design company based in Leicester specialising in building quick to load, mobile friendly and Google friendly websites. We've built hundreds of websites for business, education and the non profit sector. We'd like to build yours! Book a call back at a time to suit you today. Our websites are all easy to edit and easy to grow. They score well with Google for both SEO and Page Speed. We specialise in offering you a flexible approach where we do the work you need help with and you do the work you’re comfortable with. This allows you to strike the right balance and can save you a lot of money. Of course we can do the whole website for you if you need but most clients want a degree of control in the day to day management and expansion of their website. If you're a creative company our easy to use drag and drop Page Builders take the hard labour out of web page creation and let you offer different layouts to desktop, tablet and mobile viewers. There's no coding or anything geeky. There's hundreds of website design companies out there,why use ZCT Media? Established in Leicester in 1999, highly experienced and not here today gone tomorrow. Based centrally in Leicester with no sub contracting. All new websites are responsive to mobile/tablet. They can be mobile first where appropriate and https secure (the reassuring padlock icon in the browser). Google friendly with good SEO as standard on all new websites and extended service available. Honest and down to earth with knowledgable advice - NOT sales talk. We'll try to beat any reasonable quote. All websites easy to edit, easy to update and easy to back up. Fixed price quotes, staged payments, no lock ins and no contracts unless you need one. Refundable competitor analysis report available - find out what we can do for you and in some cases what you can do yourself - to improve your digital marketing. No credit card details needed. Based in Leicester, Leicestershire, in the East Midlands, we’ve been designing websites since 1999 and keep up to date with website design technology. This allows us to create high value websites that enable your business to be found easily and look professional and contemporary. Even our £750 websites are mobile friendly and Google friendly, are quick to load and use industry standard software because of it's ease of use in editing and creating content. We work with you to get the design right and the measurable business functionality that different business types demand. You get a website that you can easily manage, update and grow without needing any technical skills - it looks just like you want it to and it brings in business. A great website is a good start but on it's own it's unlikely to bring in business. Appearing on page one of a Google search changes that. Other factors such as Social Media, Newsletters and landing pages coupled with good analytics and Adwords make your website mean business. All businesses have different requirements and our competitor analysis report will highlight where your money is best spent. 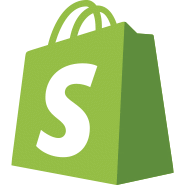 You’d be forgiven for thinking with Shopify that the price starts at $29 per month for the Basic Shopify plan. They don’t mention the $9 per month Shopify Lite too much but it’s there if you look for it. You don’t need to look for it though because we’ll point you to it and put the first ‘buy buttons’ in for you. With the Custom website with Shopify you get the header,footer and navigation designed by us to your specification. You choose how many content pages are created by us and how many Shopify buttons you need. The site is then yours to evolve with our best in class drag and drop page builder. Or you can get us to do the bits you don’t want to do, some of them, none of them or all of them, the choice is yours. The £999 option gives you an installed website with some customisation and 8 hours of design/development time to use as you need. Get in touch with us and tick the 'WordPress with Shopify' button on our contact form and we'll start the ball rolling. Or read more about how you can have seven or more stores serving different audiences for less than the cost of an old van! Would you like a report on your competitors? Our service supplies you with report showing you how your website compares to your competitors. It contains tailored marketing suggestions for you to incorporate into your marketing strategy. If you can send an email you can manage your website from ZCT Media. You won't need to learn a line of code or any nerdy things at all. Usually within a day you will be able to edit and grow your website and much, much more... A lot of people find it so easy to use they don't need much more than a bit of advice over the phone or a quick tutorial video or webinar. If you're the creative type we can install the world's favourite drag and drop Page Builder. It's almost fun. Often referred to as SEO, Search Engine Optimisation is more or less what it suggests. It means ‘tuning’ your website to appear on page one of a Google search for certain words and phrases. Even we get inundated with 'page one on Google' emails. Please see our SEO page for a brief and realistic overview of SEO. It covers what we can do and what you can do yourself. It also flags up when you need a specialist. As you know if your site isn’t on page one of Google (paid or not) hardly anyone will visit you even if your website is brilliant. Remember, tell us who you are competing against and we can prepare you a Competitor analysis report. The report will inform you about what we can do for you and in some cases what you can do yourself - to improve your digital marketing. Even without a full report we can quote you for how you can beat your named competitor. We remember the annual arrival of the new Yellow Pages and now it's finally gone. At north of £10,000+VAT for a full colour page as far back as 2014 it wasn’t cheap was it? We have Digital Marketing packages starting from only £1999 that are much better value than Yellow Pages ever was pound for pound. Get a competitor analysis report which will include our recommended Digital Marketing package. Wix. We get it, you can dive in and start dragging and dropping images and text into nice looking templates. The entry price is seemingly free and before you know it you’ve built up your own website. Too good to be true? The DIY website building choices are now plentiful but it’s not a level playing field. If you’re going down the DIY route you are investing your time into probably your businesses biggest marketing tool. You don’t want that route to end in a cul-de-sac. At ZCT Media we believe that we have a better product than Wix that’s just as easy to use and actually costs less. With our product you retain ownership and you get portability, Wix gives you neither of those. Please see our ‘Wix pros and cons’ page for some top tips on what to look out for with a number of page building options. So, you've seen what ZCT Media can do for you. We like to think we have everything covered. There's no point just having a great website, it needs to rank on Google either organically or by paid search. It has to be fast and look good on all devices. It has to be secure and backed up. It also needs support from industry standard names with provenance. There's a plethora of bad web design and Digital Marketing companies out there with a bunch of tricks and dead ends. We can tick a lot of the necessary boxes even with our £750 websites. A modest budget spent with us will be better value than most of our competitors charging two to three times what we charge. ZCT Media, down to earth and honest, in a less than truthful world. Get a fair quote and let us prove it.